Your honeymoon is arguably the most monumental holiday of your life, so it’s more important than ever that you plan a manageable schedule of activities you know you’ll enjoy experiencing as a couple. We’re here to share with you some of our top recommendations for a newlyweds’ getaway, including some exclusive honeymoon deals. We’ll be with you every step of the way to make sure you’ll have a worry-free honeymoon vacation in the Philippines. If you’d like to speak to us about any ideas that aren’t included on our site, contact us now for free advice. Deciding where to go can be really difficult when there are so many beautiful locations to choose from. Even when you think you’ve already found the perfect place, there’s still the nagging task of determining the finer details of your itinerary. This isn’t a trip you can leave to fate. Forward planning and advanced bookings will help you to secure the best available services. We’re here to help you find the most romantic and fun activities, so you can relax and enjoy your first few weeks of marital bliss – as if planning the wedding wasn’t enough hard work! Our mission is to help you find the best destinations – based on your specific interests and expectations. Once you have chosen where to go, we’ll help you choose the best hotels for couples and plan private tailor made tours. 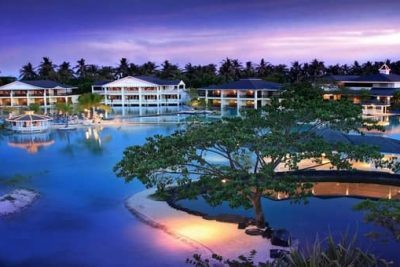 Below are our most popular destinations for honeymoon vacations in the Philippines. We have highlighted the places we feel provide the most romantic experience and offer the most special attractions. In case your dream island isn’t there, all you need to do is visit our full destinations page for a wider selection. El Nido is the main attraction on Palawan – thanks to its stunning landscape, unique and diverse ecosystem and gorgeous beaches. This honeymoon package includes a flexible itinerary, which can be revised – in accordance with your budget, time restrictions and favored activities. Couples usually spend 5 or 6 nights in Palawan. However, longer stays are better if you want to cover all popular locations and still have time to relax at the beach. This is possible because with us by your side, everything will run smoothly and you won’t waste precious time. 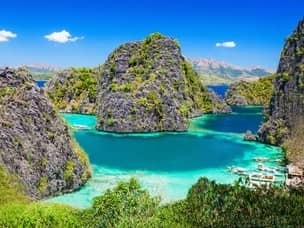 Let us plan your honeymoon in Palawan – with our exclusive private tours and romantic beach resorts you are guaranteed to have a wonderful time in paradise. You can find all the best hotels, tours and nearby locations on our Palawan packages page. If our romantic Palawan package already meets your needs, simply go ahead and order it. Either way, our experts will help customize your honeymoon and make it the perfect romantic getaway. If you only have time for one place in Palawan, it has to be El Nido. This is the most romantic place you’ll ever visit, and our El Nido honeymoon package makes sure you make the most of your stay there. Countless small islands and hidden lagoons make it the best location for island hopping. 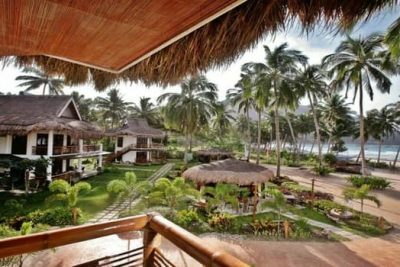 El Nido also offers the best accommodation options for couples, with anything from boutique luxury resorts hidden in the jungles to lavish private island resorts. Coron is also a wonderful island destination which is still raw and undeveloped. It is home to the famous Twin Lagoon, one of the most spectacular sights in the country. It also has some truly stunning diving spots. Our exclusive Coron island hopping tour combines these 2 wonderful attractions for a perfect day full of excitement. Puerto Princesa, the capital, is a destination more popular among families and large groups. It is not as secluded or private, and the beaches are far less impressive. That is way many couples choose to skip altogether. 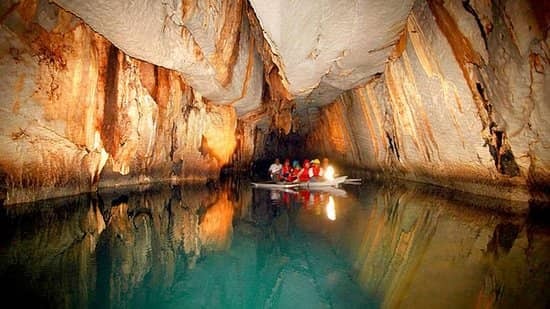 Still, it is where the famous Underground river is located, one of the 7 new wonders of nature. 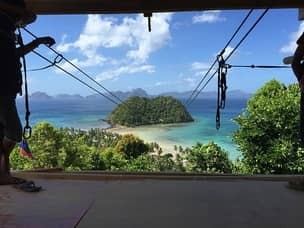 You could spend just 1 night in the city to have a chance to check out this attraction, or book our Underground River private tour and then head to straight to El Nido once you are done. 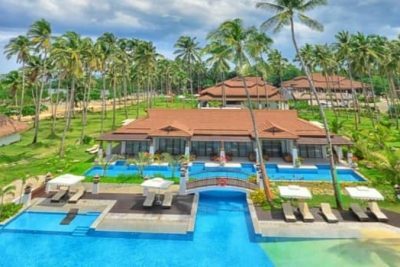 All of our Palawan packages include accommodation at the best resorts where you can enjoy VIP treatment, as well as all the available day tours and attractions described above. Most importantly, we’ll take care of logistics and provide support should any unexpected event occur, leaving you with no worries other than having the time of your life. You can also send us a request for something extra special. We love to hear your ideas and help you plan special surprises. The Visayas region is the central cluster of islands located between Luzon, where Manila is, and the southern region of Mindanao. This location means most of the islands there are well sheltered and enjoy good weather all year round. 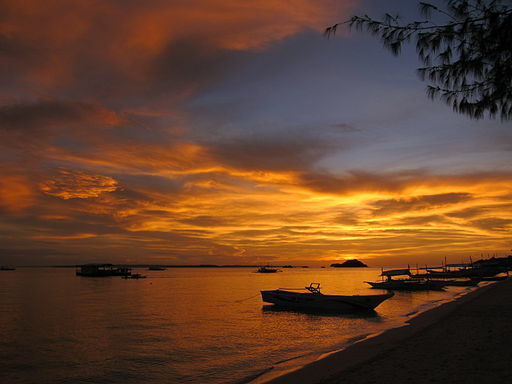 This fact and its beautiful beaches and small secluded islands, make Visayas a huge tourist magnet. Visayas offers a mixture of large islands with world class resorts, and smaller islands with pristine beaches and crystal blue waters. All these islands are relatively close to one another, so 5 days are plenty of time to get a good taste of what this place has to offer. We have strong relationships with the leading tour operators in all of those islands, as well as with the most exclusive hotels. This not only allows us to offer extremely competitive rates, but also means we can make your honeymoon vacation extra special and memorable. We know all the secret beaches and can arrange exclusive private tours everywhere you go. Let us make your time in Visayas extra special! Boracay has been named the most beautiful beach in the world. There’s always something fun to do, with bars and restaurants lining the beaches. During the day you can get involved with high-energy sports like kite surfing or windsurfing, or just chill on the beach while enjoying an exotic cocktail and listening to a local band. This little paradise has over 400 different hotels and resorts, which makes it challenging to find the best one. It’s very easy to pick the wrong hotel if you don’t have local knowledge. The island of Boracay is temporarily closed down by the government. It is not expected to welcome tourists before the end of October 2018. If you are planning to arrive before this date, keep reading to find the best alternatives Visayas has to offer. For those of you who are coming to the Philippines before Boracay re-opens, the immediate alternative is Bohol. This wonderful island shares many of Boracay’s strong points – it full of stunning white sand beaches and world class resorts. Better yet, Bohol has much better attractions, so you are much less limited with your choices there. Dolphin watching, swimming with sea turtles or visiting the famous Chocolate Hills are just a few of the day tours we offer in Bohol. Similarly, Cebu island is an excellent choice thanks to its thriving nightlife and the countless endless adventures it offers. Cebu city, the 2nd largest city in the Philippines, is full of culture and history. 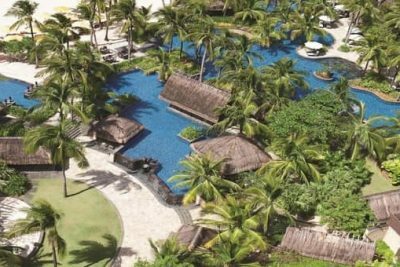 Nearby Mactan island has some of the best all inclusive beach resorts in the country. 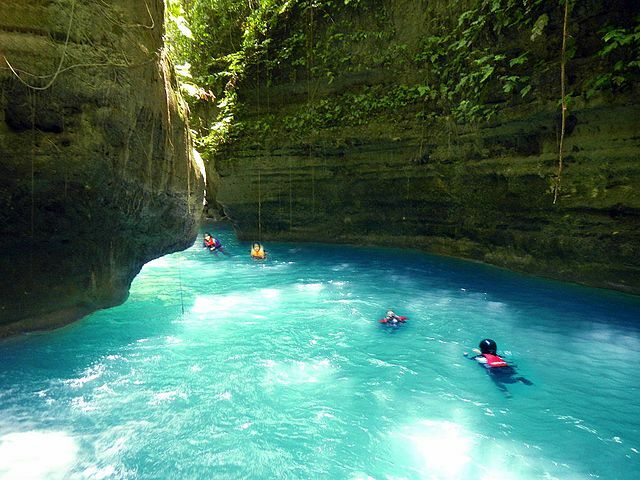 From there, you can embark on many exciting day tours, with island hopping, diving and the Kawasan Falls canyoneering being the most popular ones. If you prefer a more private setting, then Malapascua island might be a good choice. Getting there takes roughly 5 hours from Cebu city. This is why most people don’t go there, missing out on one of the most romantic and special places in the Philippines. 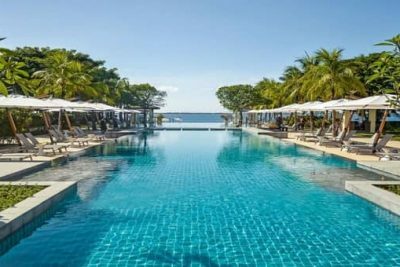 For a small remote island, resorts here are surprisingly pampering, with full board packages and many other complimentary services and amenities. The beach is wonderful and diving there is breathtaking – making it a great choice for getting away from the crowd without compromising on comfort. Manila is a busy city, so it wouldn’t be everyone’s choice for a dream honeymoon vacation. However, as with any big metropolis, there are countless hidden gems to discover. To begin with, you can’t find better cuisine anywhere else in the country. There is also a lively arts and music scene, as well as exciting nightlife. Manila is also a shopping mecca with 3 of the world’s 10 largest malls, offering the same brands you know from back home at much lower prices. Our exclusive tours catalog features the many ways couples can enjoy this great city. Manila provides the best unfiltered view to locals’ culture and everyday life. Since you’ll mostly likely land there anyway, it makes sense to delay going to the islands by a day or two. You can even take a day tour to the nearby volcano and waterfalls and be back at your hotel in time for dinner and drinks at some trendy bar. Exploring the locations around Manila is extremely rewarding. You’ll see a side of the Philippines most tourists miss – the most authentic representation of Filipino culture and history. This option is more suitable for couples coming in for a longer vacation, who are looking to add something extra to their honeymoon package. We work with the top 20 hotels in Manila and offer exclusive private tours we designed ourselves. We’ll make your stay in the city a memorable one! There are many romantic hotels in Manila, typically in the quieter areas. Countless high-end hotels face Manila bay, where lovers can enjoy the beautiful sunset. We can also arrange a yacht cruise with a candlelit dinner and a fireworks display. You can also explore the city with our exclusive Manila day tours, giving you a better understand of the local way of life. The Banaue Rice Terraces are one of the most iconic and interesting places in the Philippines. It allows you to Experience ancient culture and traditions firsthand while interacting with the locals. Getting there with our private van takes 8 hours since there are no flights. It’s possible to drive through the night, so squeezing everything in 2 days is feasible, but allocating 3-4 days is much better. 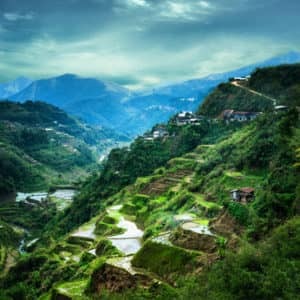 Keep in mind though, there are no luxury hotels in Banaue, so this is better for the more adventurous people out there. 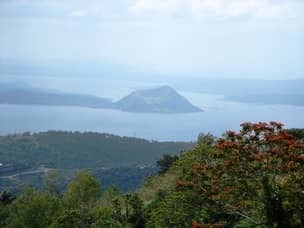 For single day tours out of the city the best option is Tagaytay. 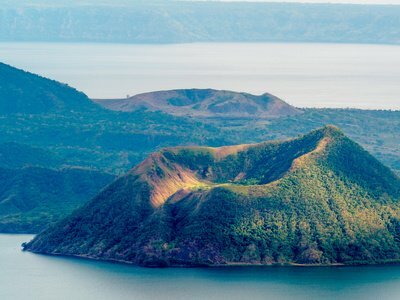 Overlooking the Taal lake and volcano, this place offers spectacular views of the whole area. Then, you take the boat the volcano located in the middle of the lake. A quick hike to the summit will also allow you to swim in the smaller crater lake. 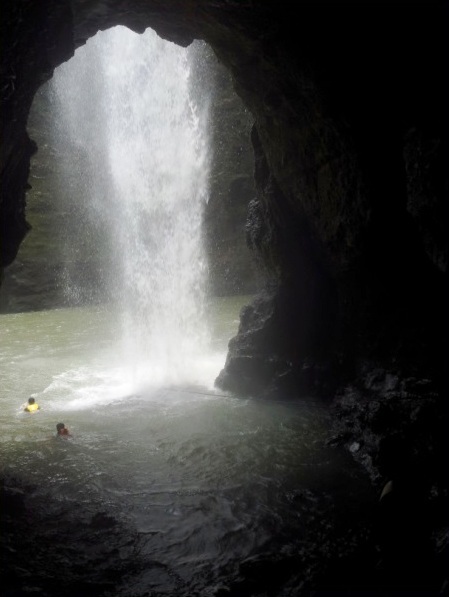 Pagsanjan Falls in the Laguna province are also a very popular choice. The tour requires very minimal effort, as you make your way through the river surrounded by tall limestone cliffs. You’ll really feel like an explorer making your way through the jungles, and if you’re lucky you can even spot monkeys jumping between trees. the tour ends at the beautiful waterfall where you can swim and relax for a while. It’s also possible to visit Tagaytay and Pagsanjan on the same day. If you’re spending time in Manila, we recommend adding the romantic city adventure package to your wishlist. We can adjust it later on, depending on how long you’d prefer to stay in the city, but it’s a great introduction to the country with a romantic twist. 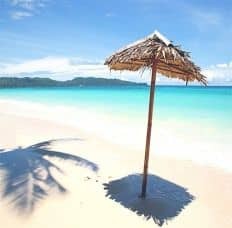 Planning a romantic vacation in the Philippines is all about finding the right balance between popular tourist spots and the smaller remote islands. All the popular islands featured above have earned their reputation for a reason – they offer great attractions, perfect beaches and excellent resorts. However, it also makes it so much harder to find privacy and enjoy a quiet time together. These smaller islands are perfect if you are looking for a true tropical adventure. Some beaches are so secluded you’ll most likely be the only one in sight. There is no better way to experience this paradise and a true sense of raw nature. We have chosen those remote locations carefully, to allow you to get away from the crowds but still maintain a certain level of comfort and service. We personally went to all these small islands to make sure we have the best services to offer. We’ll help you find the nicest hotels and most proffesional tour operators no matter where you choose to go. 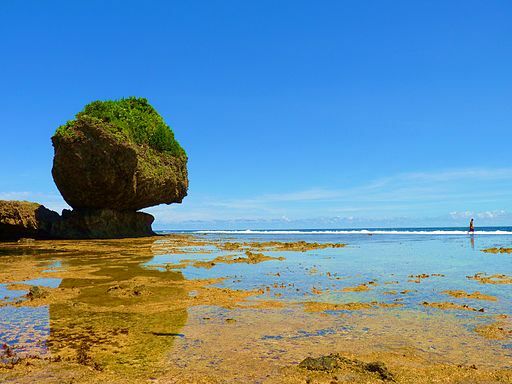 Siargao started as a surfing destination thanks to its stunning beaches and unique attractions. It has remained a well-kept secret for many years due to its relatively remote location. Now, with Boracay’s closure, Siargao is quickly becoming a top tourist spot. This is the perfect time to visit the island, before it becomes too crowded and loses its charming and relaxed atmosphere. There are still only a handful of decent resorts there, so it’s better to book through us to avoid unpleasant surprises. Camiguin is a small island located between Bohol and Siargao. There’s also a daily flight from Cebu, so getting there shouldn’t be too much of a hassle. Infrastructure on the island is fairly basic, but there are a couple of nice beach resorts and the food is excellent. 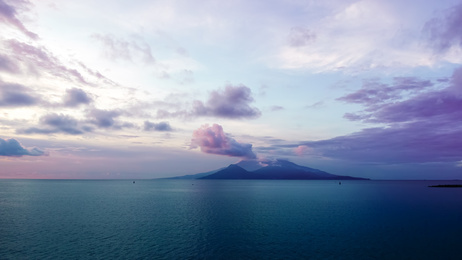 Camiguin is the ultimate location for nature lovers – with no less than 7 volcanoes you can hike to, and a ton of spectacular diving sites to visit. Those who don’t want to stray too far into the wilderness can choose to visit Siquijor instead. 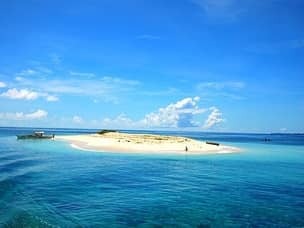 This island is located just south of Cebu and Bohol and can be reached via ferry. Siquijor has beautiful waterfalls and really nice beaches but is mostly famous for its rich folklore – locals believe this is the island of witches and ghosts. 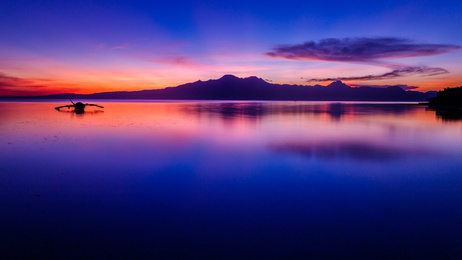 This is why Siquijor is a special place to visit, as it offers a truly unique combination of nature and tropical island lifestyle along with interesting local culture and traditions. 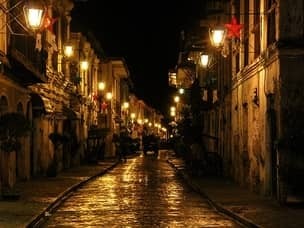 For a different type of adventure which doesn’t revolve around islands and beaches, Vigan is one of the best choices. This ancient town is one of the best-preserved examples of Spanish colonial era architecture and heritage. Still, Asian influences are evident, making Vigan a truly unique city which perfectly exemplifies the Asian – Hispano fusion. We realize couples who are looking for a romantic getaway expect high standards. We know that you seek to share fun activities and enjoy luxurious hotels and resorts together. 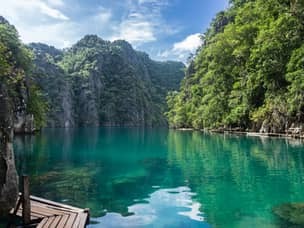 The great thing about the Philippines is that there are so many different options you’re bound to find affordable accommodation and activities that you’ll both really want to experience. In most popular locations, finding high end accommodation for reasonable prices shouldn’t be a problem. However, booking in advance is advised if you wish to enjoy the best deals and guarantee your preferred resort won’t be fully booked. Even if that happens, we have enough alternatives we can offer, so there’s no need to worry. 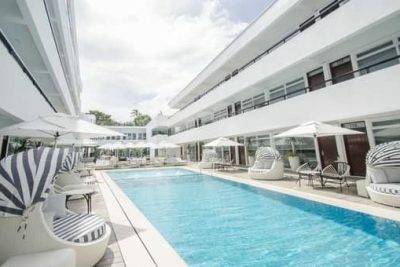 Below you can find our most popular hotels for couples in the Philippines. This list is based on our own experience and feedback we collect from our many clients. We tried to keep the list as diverse as possible so it can work well for all budget types. It doesn’t matter if you prefer 5 star luxury resorts or a family owned boutique beach resort – we only work with hotels we know can provide world class service and quality. Sometimes, booking a beach bungalow at a quieter beach, 10 minutes from the center, can turn out to be just as nice and much more romantic. This is especially true in Palawan, where there are literally dozens of small beaches, so there’s absolutely no reason to stay at the most crowded ones. While these hotels are not as luxurious (4 stars only), staying there can greatly reduce the cost of your honeymoon package. All-inclusive resorts can also be found even on the most remote islands, thus offering the perfect locations for honeymooners. It might not be 5 star hotels, but sometimes a boutique resort is just as satisfying and much more romantic. There’s nothing more romantic and special than having your very own private beach right at your doorstep. If that sounds like your type of vacation, book our romantic island adventure package and we’ll make sure you get everything you dreamed of. We specialize in finding the best possible resorts and tour operators, even in those small and undeveloped islands. Philippines vs. Thailand – Where should I go? Many people ask us which is the better honeymoon destination between the Philippines and Thailand. Naturally, we believe that the Philippines is the best place in the world, which is why we’ve chosen to live here. Thailand is much more touristy – for better and for worse. The advantage of Thailand is that it’s much easier to get around, and the nightlife is certainly better. The downside is that it’s much harder to get away from the crowds, and the noise can be overwhelming. On the other hand, the Philippines is more exotic and unspoiled, but that also means transfers between islands are sometimes complicated. Luckily for you, we work very hard to make sure all our romantic locations are easily accessible, even the most remote ones. Not much can compete with Thailand’s unique culture and excellent cuisine, and admittedly the Philippines falls behind in those departments. Still, there are a lot of interesting historic sites to visit and tasty food to try. The Philippines also has much more beautiful and less developed natural landscape. Its beaches are cleaner and much less crowded. The local wildlife and marine ecosystems are more diverse, and the landscapes are more dramatic. Depending on where you go, you might also find that, the Philippines is cheaper. You can enjoy the same high standard of resorts at a more reasonable price. There are just as many attractions here, and the added bonus all locals speak English so it’s easier to find good local guides. Since Bangkok is just a 3.5- hours flight from Manila, one option is to combine the two. A stop over in Bangkok either before or after you visit the Philippines will allow to enjoy the Thai food and culture, so you’d get the best of both worlds. If you choose to incorporate Thailand into your honeymoon, – don’t hesitate to ask us any questions. Most people on our team have been to Thailand many times, and would be happy to share their experiences with you. Limited time offer : Rates as low as 150 USD a day for a couple! We’re fully committed to making your honeymoon the best vacation you’ve ever had – and it would be an honor to help planning such a huge occasion in your life. Our team of experts will accompany you every step of the way – from planning your package to making sure you arrive safely to each destination. We understand that every couple has their own ideas about what a romantic vacation should be like. It doesn’t matter if you’re looking for the best beaches and most beautiful islands, or prefer hiking through the jungles and camping by yourselves under the stars. Whatever your tastes, we can make your dreams come true! Thanks to our strong local ties and years of experience, we can provide the best possible hotels and tours. Our service doesn’t end with planning your package. It’s also possible to make changes at any given stage. For a complete list of available services, visit our vacation packages catalog. We understand that these trips are dynamic by nature, and we will work closely with you to make sure everything goes smoothly. When you look back on your honeymoon, all we’d like you to remember is how in love you were with both your partner and this wonderful country. Thanks for your inquiry, one of our agents has already mailed you a preliminary proposal for review. 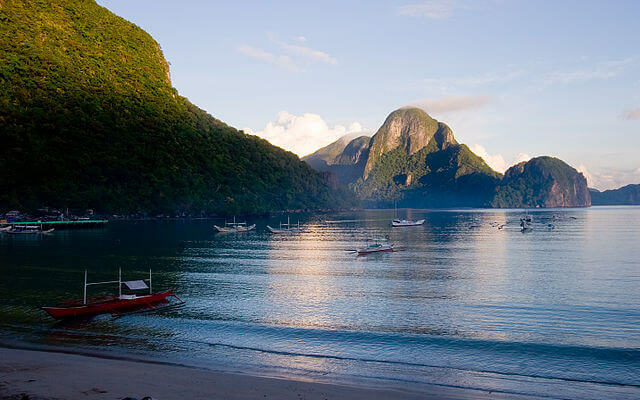 For more information, we suggest you first go over our Palawan packages catalog. You can see exactly what it has to offer in terms of hotels, tours and attractions. You could also read about specific Palawan locations such as El Nido and Coron. Doing so will help you figure out whether Palawan is the best choice for your honeymoon or not, and help us in planning the perfect romantic vacation for you. Hey Karnan and thank you for getting in touch with us. Yes, we do offer short packages as well, but those qualify under our custom package service. We’ll appreciate if you could fill out this short contact form, stating your exact requirements from us. This will really help us in offering you a package that is best suited for your specific needs. I am looking for suggestions and activities package for my 2 night stay in Boracay and 4 night stay in El nido. We are glad to see you managed to settle on an itinerary for your honeymoon – We really hope the extensive free advice we had given you has helped in picking out the destinations to visit and where to stay at each. For activities, please take a look at both our El Nido and Boracay pages. There are plenty of possible attractions and tours suggested there. Am looking for a 4 nights 5 days package for my honeymoon in Philippines, please let me know the packages we have. 4 nights is rather short, so i suggest you stick to just one location. Both Boracay and El Nido are great – extremely popular and very romantic. The best thing would be if you contact one of our agents directly by using this form – then we’ll be able to build you a custom package based on your specific needs. Hi,planning for 2 days stay in sebu, please let me know the packages you have. Normally our honeymoon packages are more vacation focused rather than a single destination. 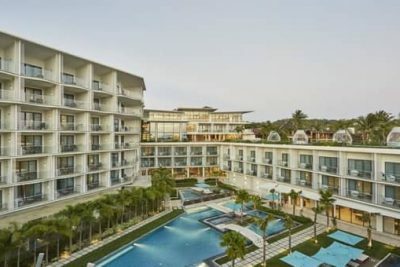 It would be best if you first take a look at our Cebu page and see everything we offer on the island. Then, feel free to contact us through the inquiry form on that page. Hi Swapnil and thanks for leaving a comment. If you don’t mind, please fill out this short inquiry form. It will make it so much easier for us to plan you a vacation you will actually enjoy. One of our agents will reply to your inquiry later today. We look forward to helping have the perfect honeymoon holiday! We are looking to visit Phillipines from 27th October to 3rd November. We r 2 couples with one toddler. Please advise a suitable package. Hi Krit and thank you for showing an interest in our services. For a week long vacation, we suggest focusing on just 2 islands or otherwise you’ll waste most of your trip on tedious transfers. Since your travel dates still fall under the rainy season i suggest you skip Palawan and go to Cebu and Bohol instead – it will also make the package cheaper. I am looking for a luxurious honeymoon of 7-10 days in Philippines. Hi Nihit and thank you for leaving a comment. One of our agents will mail you soon, but it would be better if you can also find a few minutes to fill in our inquiry form. Thank you and good luck with planning your trip! I am planning my honeymoon in Philippines in December 2018,it will be a week long trip, so I need the best package for the same, in the package everything should be included(flights, transfers,stay, sightseeing, food etc. Please share the quotation with me for the same. Hi and thanks for leaving a comment! Would you please fill out this inquiry form so that we can have all relevant details? Once you do, one of our agents will send you a package. We can’t give a good offer that will match your needs without knowing what are your preferred activities, which islands you’d like to visit and of course your exact travel dates. If you are not sure how to answer these questions, you could first check our list of destinations we work in, or the tours we offer. Hi, I am planing for 06 nights Philippines in Nov end for my honeymoon. Flight details are DEL – MNL – DEL. Please advise me a best romentic package on urgent basis. Kindly contact us using the inquiry form and we’ll give you the best package for your specific requirements. Hi Nitin and thanks for showing an interest in our services. The best way to proceed would be to send an inquiry so that one of our agents can review your request and assist you in creating the vacation you want. I am looking for a honeymoon package in the Philippines for 5-7 days/nights in the month of May. Please send me a customized itinerary. Looking for a mix of beautiful beaches and mountains and some nightlife with shopping. Also, tell me how would be the weather in May? Will it be too hot? If it’s hot then advise me some other destinations. Thank you for showing an interest in our services. For faster response, please fill in the inquiry form here, and one of our agents will get back to you. 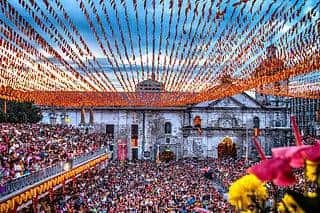 May is a perfect time to visit the Philippines. It is the end of summer so it will be sunny but not as hot as the months before that.